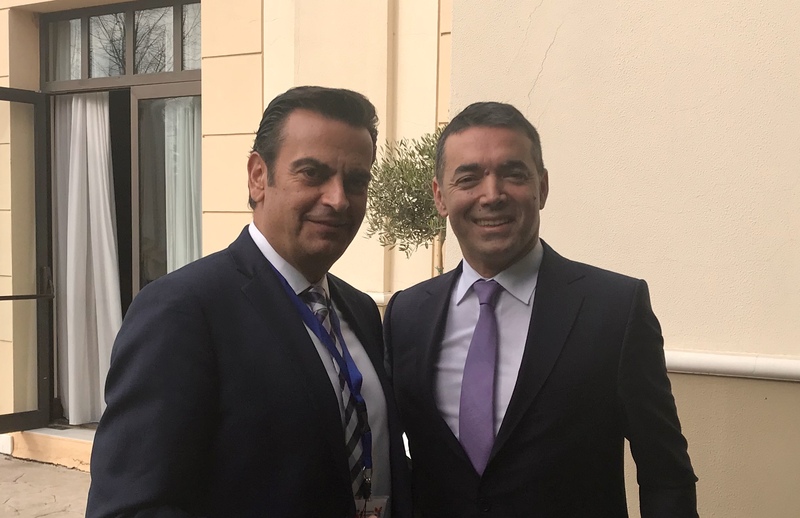 Foreign Minister of fYRO Macedonia, Nikola Dimitrov, spoke exclusively to IBNA, on the sidelines of the 4th Ministerial Meeting of Greece, fYRO Macedonia, Albania and Bulgaria, which took place in Thessaloniki. Nikola Dimitrov referred to the need for the region to work with a positive agenda, leaving aside the differences, for the process of completing the Constitutional Review in his country, Gruevski’s escape, and Skopje’s relations with Belgrade and Pristina. Minister Dimitrov, this is the fourth ministerial meeting in Thessaloniki. What are the topics of conversation and what can be expected? Firstly, I am pleased to say that I am happy that there is less media interest. It is a signal that we are succeeding in our efforts to make the region a little less interesting. Let’s remove all major unresolved issues and focus on specific things. And it is not by chance that the host Georgios Katrougalos invited representatives of the ministries of economy, because with close political relations they will create conditions for specific economic projects that benefit the citizens of the four countries. We discuss the situation in the region, we talk about how countries that are already members of the European Union can help us, the countries that want accession talks. A very pleasant and constructive atmosphere and we should not be surprised, because we really are natural allies. Can you tell us what is happening with Nikola Gruevski’s escape? Two days ago you had a diplomatic statement that it was not decent move from Hungary that granted asylum to the former Macedonian prime minister? It’s a paradox because we have a conclusion from the EU Council for general matters, where a legal conclusion is demanded and accountability about the indications for felonies that have come out of the wiretapped conversations. We have a report on progress in the rule of law regarding the period when Gruevski was in power. And now, the rule of law is not only valid for us, but for the whole of the Union. We will continue to respect this principle, it is very important for our citizens and we will seek a legal way to convince our Hungarian friends that the rule of law is a stronger principle than the rule of the ruler. The law must apply equally to all, not selectively. After the signing of the Prespa Agreement, we entered the second phase of the implementation of the agreement. How will the following processes take place, do you believe that the government holds a two-thirds majority in parliament? We will have a debate in parliament, which will begin on December 1st. The process is not simple, but that’s why we call it historic. I am convinced that we are doing a very important thing, there is no other future other than closeness, friendship and reconciliation. And we are firmly committed, this is our priority, we must finish our task, and then the process will move to Greece. I think we are very close to closing down such an important issue that was open for 27 years, and to build a bridge of closeness between the two nations. The world is full of uncertainties, the EU is busy with its own problems, it’s time for us to take responsibility for our destiny and future ourselves. In recent days, we have seen an escalation of problems between Serbia and Kosovo, and we also heard about Belgrade’s dissatisfaction over voting for Kosovo’s accession to Interpol. Immediately afterwards, Serbian President Aleksandar Vucic said that Macedonia and Montenegro are always against Serbia. Do you have any comments on this?